Hello iCandy readers! It’s so good to be here today, kicking off the DIY Babies sewing series. 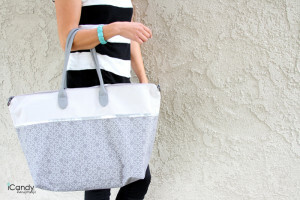 My name is Caila and I blog about sewing and crafts over at CailaMade. Jen and I had the pleasure of sharing a room at Sewing Summit in the Fall and became instant friends. I can’t tell you how fun Jen is in real life! I spent the whole four days at Sewing Summit laughing with her. As you all know, Jen recently welcomed baby Isabella to her family (what a doll!) 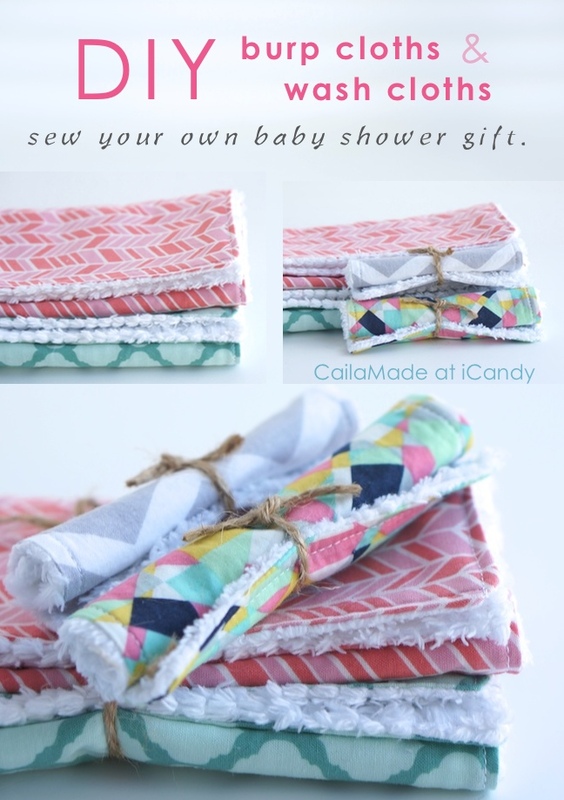 and in the spirit of sweet baby girls, I’m going to show you how to make these super soft burp cloths and wash cloths. This is my go-to baby gift, and they’ve become kind of famous in our circle of friends for being the softest and sturdiest burp cloths on the block. My favorite part? They are cute, too! As a modern mom, I prefer my utility baby items be cute as well as useful, ya know? First off, let’s start with the burp cloths. You can find the FULL TUTORIAL on my blog. These are made using cotton chenille for the absorbent side, and quilting cotton for the pretty side. I prefer to use white chenille (even though babies spit up on it, but whatever) and fabrics with a white base for the front. I love how bright and cheery these are! The fabrics for both burp cloths pictured here came from my local Jo-Ann’s Fabric & Crafts store. Sadly, the chenille I used has been discontinued by Jo-Ann’s (boo), but a good friend of mine went searching online and found a few shops that carry a similar chenille. Take a look at this shop, this one, and this one. I can’t vouch for these since I haven’t sewed with these chenilles myself, but I plan on requesting samples because a number of my pregnant friends have already put in requests for sets like these. If you try any of them, let me know what you think! If you can’t find any cotton chenille but still want to make burp cloths, terrycloth is another great option. I’ve used the terrycloth from Jo-Ann’s and although it isn’t as soft as the chenille, it still works great. I suggest adding a layer of flannel in between the terrycloth and quilting cotton to make the burp cloth extra soft. You can also use a double layer of plain white cotton flannel with great results. Burp cloths are great and all, but these little wash cloths might be even better! Most people think washcloths are just for bath time, but let me be honest with you: I used these for EVERYTHING when my babies were small. Little washcloths went everywhere with us, catching spit up, cleaning noses, absorbing milk from certain leaky areas (ahem). This washcloth tutorial only requires a 6 X 6 inch piece of fabric for one wash cloth, so this is also a great stash-busting project. STEP ONE: Place one square of quilting cotton and one square of chenille together with the right sides facing. Pin all the way around. STEP TWO: Sew all the way around the square with a 1/4 inch seam allowance, but leave a 3 inch opening on one side. This will allow you to turn the wash cloth right side out. STEP THREE: Clip all four corners, but be careful not to cut any stitches! STEP FOUR: Reach in through the opening and pull the washcloth right side out. Use an iron to press the corners and sides flat. While you iron, tuck the raw edges of the opening inside 1/4 inch and press well. Pin the opening closed, and then sew around all four sides of the washcloth with a 1/8 inch seam allowance. You’re done! Wow, wasn’t that easy? Now you can go make a stack of them for yourself or a friend who’s expecting. Be prepared to be the talk of the baby shower–in a good way! Thanks for having me today, Jen and Autie! And thank YOU all for reading. 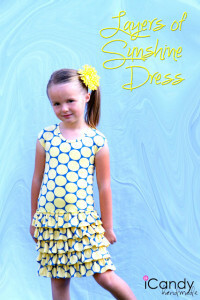 Please take a moment to head on over to my blog, CailaMade, or my Facebook page and see what else I’ve been sewing. I’d love to become friends!